Liquid Tension Experiment (LTE) was an instrumental progressive metal/jazz fusion supergroup, founded by Mike Portnoy, then Dream Theater's drummer, in 1997. The band has released two albums through Magna Carta Records. 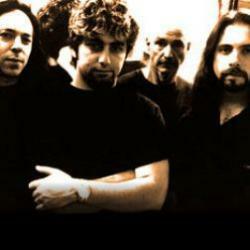 A third album, with the absence of John Petrucci was released in 2007 under the name "Liquid Trio Experiment". A live album with the absence of Jordan Rudess (mostly) was released in 2009 under the name "Liquid Trio Experiment 2". Three live albums and two videos were released in 2009 by the complete band.